» Pre-Sale Code: PBS Kids Live at the Palace! 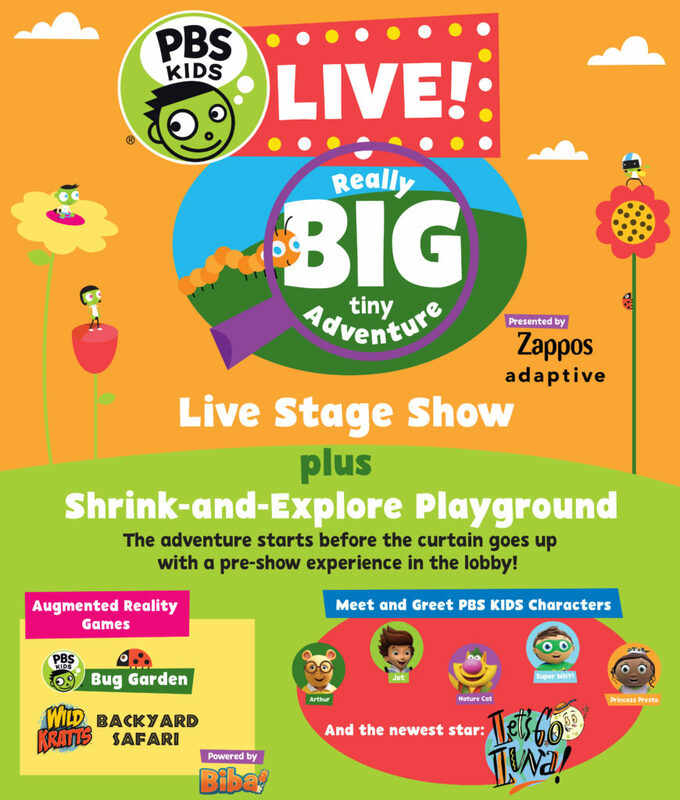 Home » Events » Pre-Sale Code: PBS Kids Live at the Palace! Pre-Sale Code: PBS Kids Live at the Palace! PBS Kids Live! Really BIG tiny Adventure is coming to the Palace Theater in Albany on Saturday, January 19 at 6:00 PM! Tickets start at $19.50 and go on sale this Friday but I have a pre-sale code for the best seats first! Use the code 2019PBSKIDS now to buy seats before the public HERE! PBS KIDS Live! Really BIG tiny Adventure begins when you arrive with an in-lobby experience for the whole family. Favorite PBS KIDS characters from Arthur, Nature Cat, Ready Jet Go!, Princess Presto and Super WHY! are available to meet, greet and pose for photos! PBS KIDS Live! Really BIG tiny Adventure is the story of Dot, Dee, and Del, the PBS KIDS brother and sisters seen every day on PBS stations. It’s a special day and the kids are looking forward to crossing their backyard to attend a friend’s birthday party. Sounds simple, but it becomes an unexpected adventure when the group gets shrunk to the size of grasshoppers. A lot of surprises are in store for the pint-sized kids including meeting and learning about the little creatures that live just under foot; music and interactive audience fun; and the solution to the “mystery of the missing tail.” Will they solve all the really big, tiny challenges and grow full-size in time for the birthday fun? You’ll find out in PBS KIDS Live! Really BIG tiny Adventure, an exciting and educational experience for the whole family. This entry was posted in Events, Kids and tagged events, kids, Palace Theater. Bookmark the permalink. ← Hocus Pocus Family Fun Day at the Palace!